This is the best dip! Everyone will come back for more and want to know what it is!! 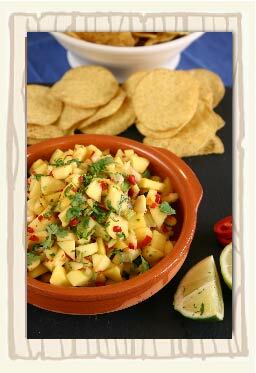 An ideal combination of sweet, exotic mango with the exciting bite of chilli! 1 teaspoon fresh red chillies, finely chopped (medium heat). Mix ingredients in a bowl and allow mixture to stand before serving.